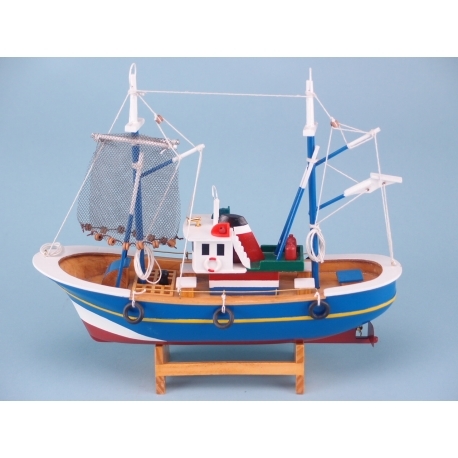 The perfect gift for someone who loves being out on the water is this ornament of blue trawler hanging nets. The length of the figurine is 30cm and it sits at 27cm tall, which makes it a standout piece. 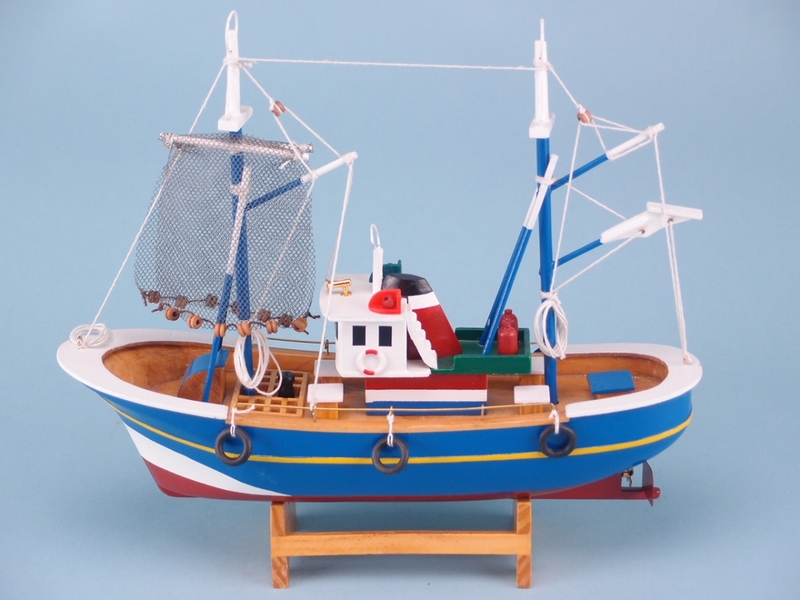 This beautifully-crafted ornament has included every detail of a trawler boat, including the bets and ropes. Blue is the dominant colour, but there are also flecks of white, red and yellow. For anyone who has knowledge about trawler boats, or simply enjoys the water, then this would be a wonderful gift.